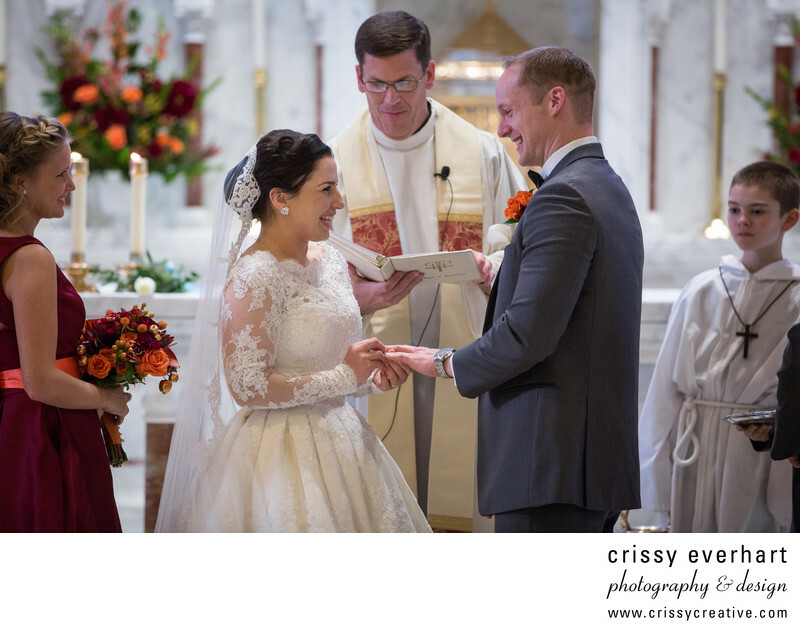 Bride puts Groom's wedding band on his finger at Saint Patrick's Catholic Church in Malvern. The bride wore an Ellis Bridals tea length dress with lace sleeves and a cathedral length veil, and the groom wore a grey Vera Wang suit and black vest and bow tie. Flowers by Matlack Florist in West Chester. Location: 104 Channing Ave. Malvern, PA 19355.